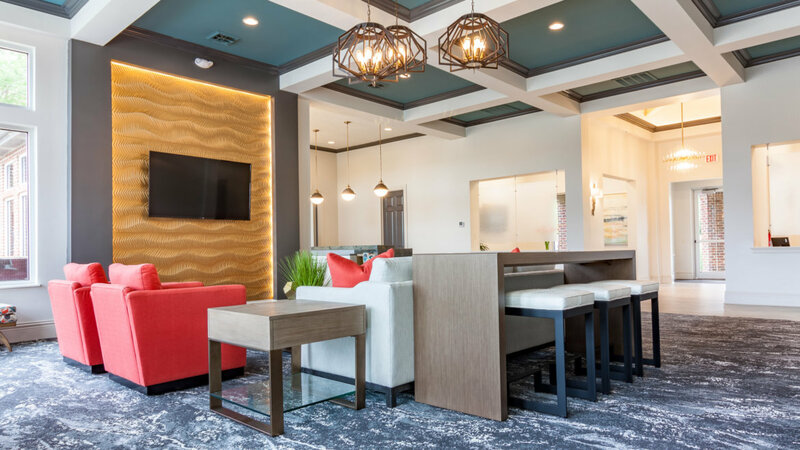 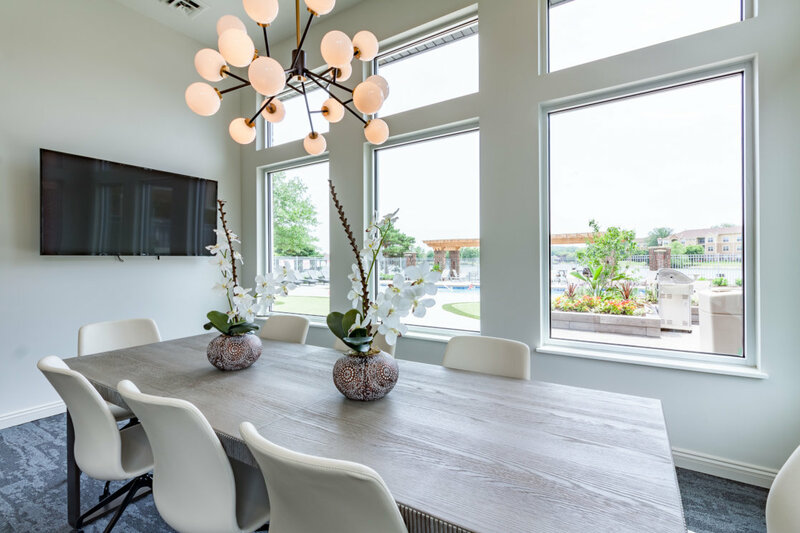 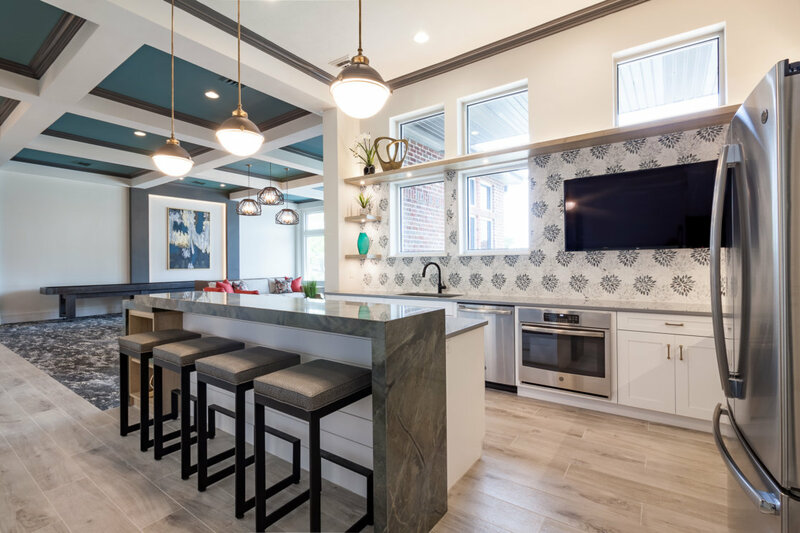 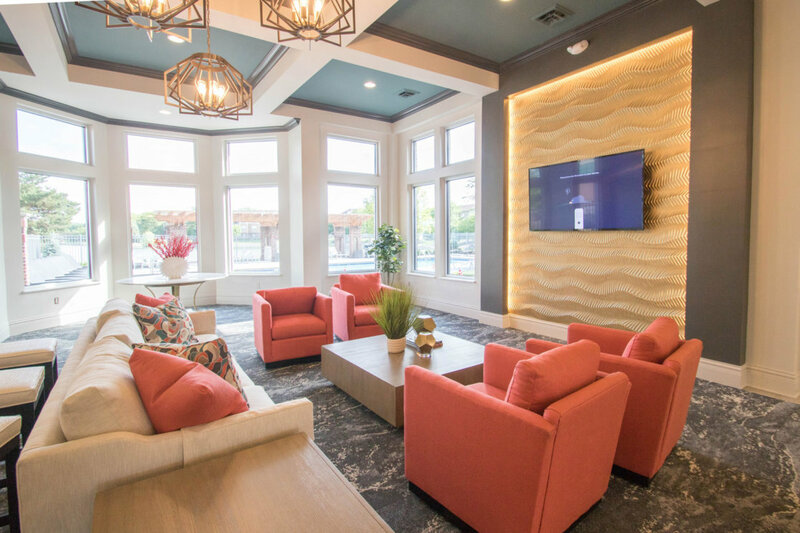 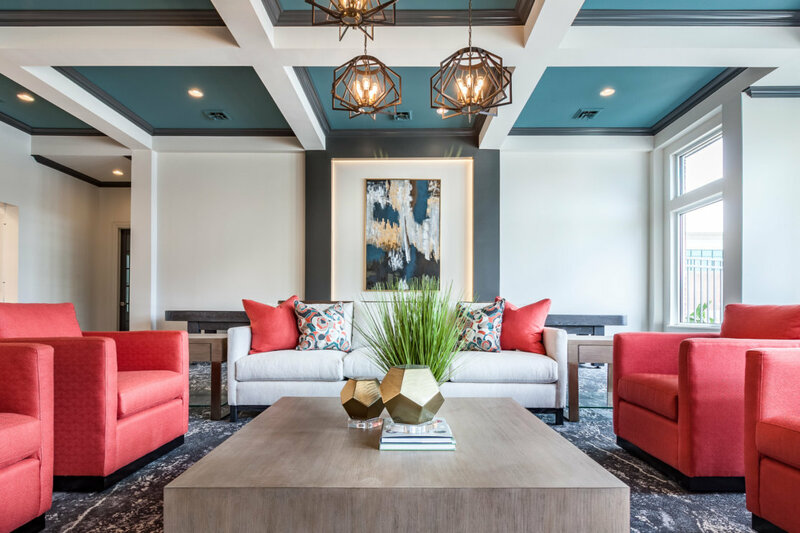 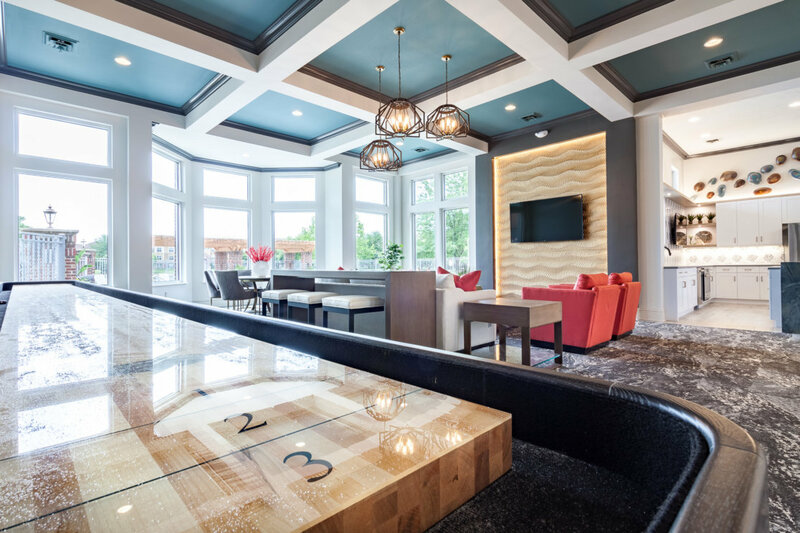 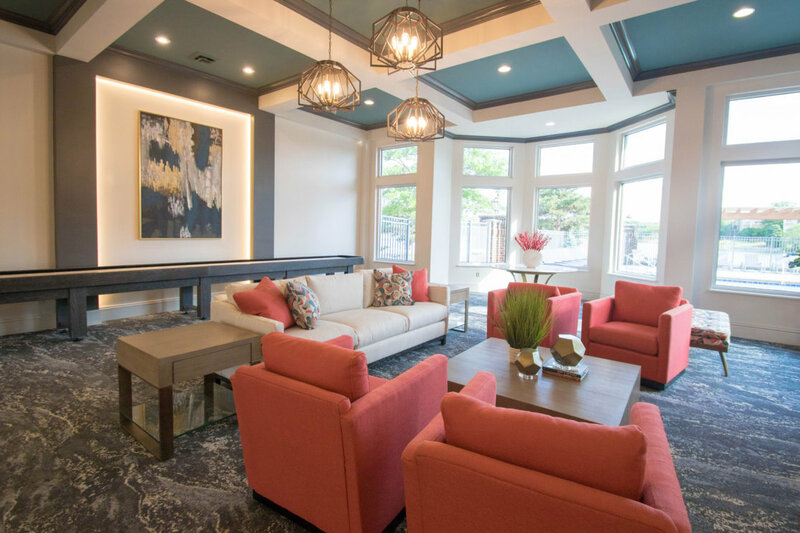 From the moment you enter into the clubhouse at Westport on the Lake, it opens ups and shows off its “Coastal Contemporary” concept. 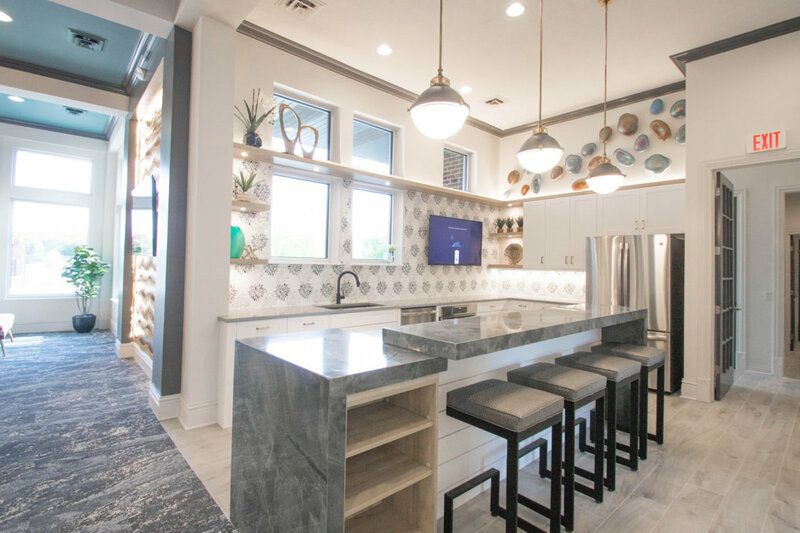 The design introduces blues and warm wood tones which give a nautical feel to the project. 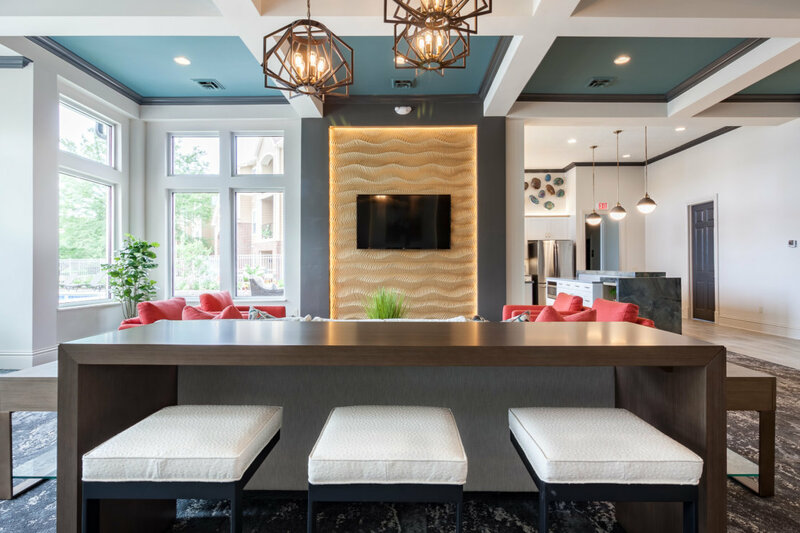 The Interior is highlight by the wavy 3D textured focal wall in the gathering space. 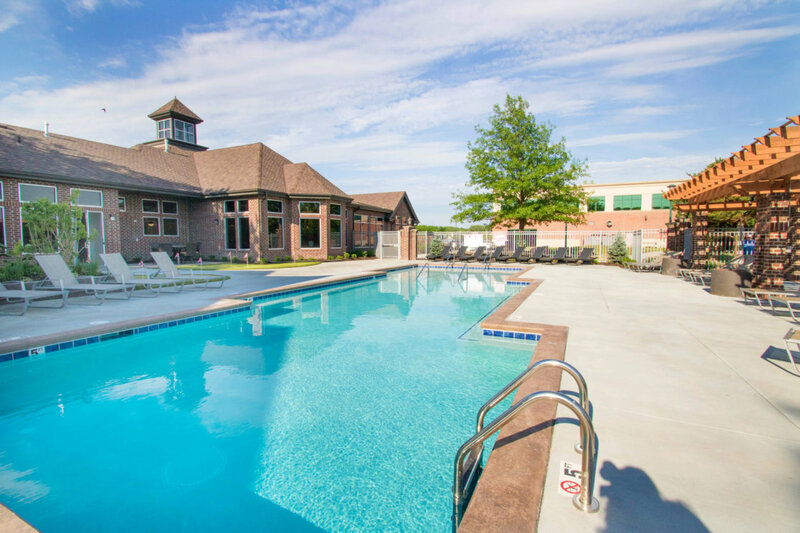 The design of the pool introduces a larger resort style pool with new places to entertain outdoors. 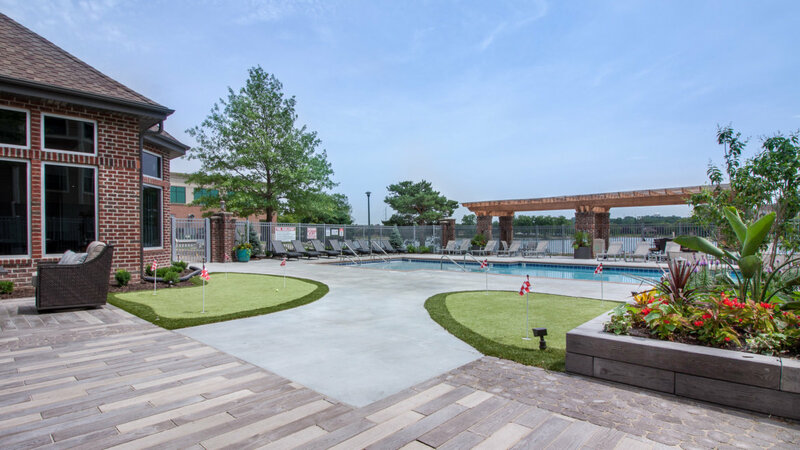 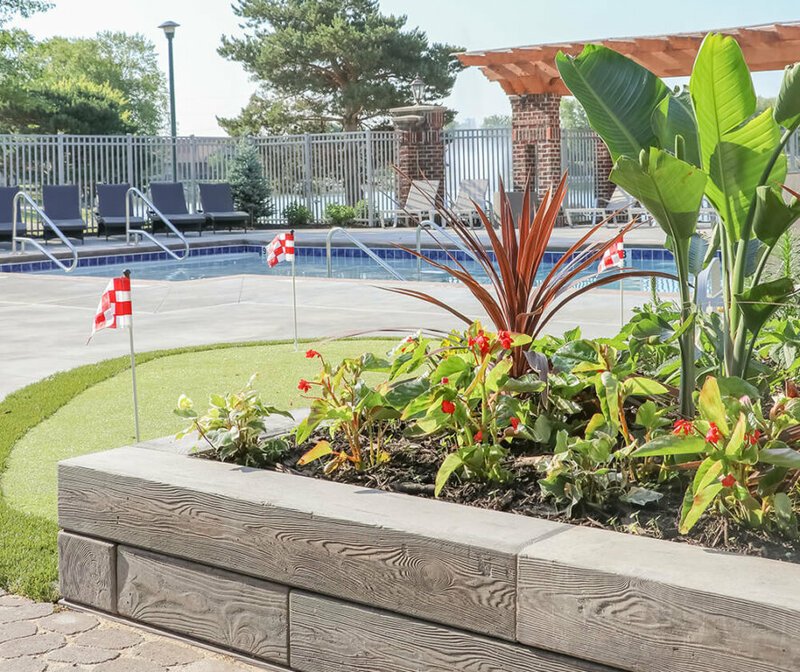 The pool area will have new amenities such as a fire table, putting greens, grills, and an area to play outdoor games. 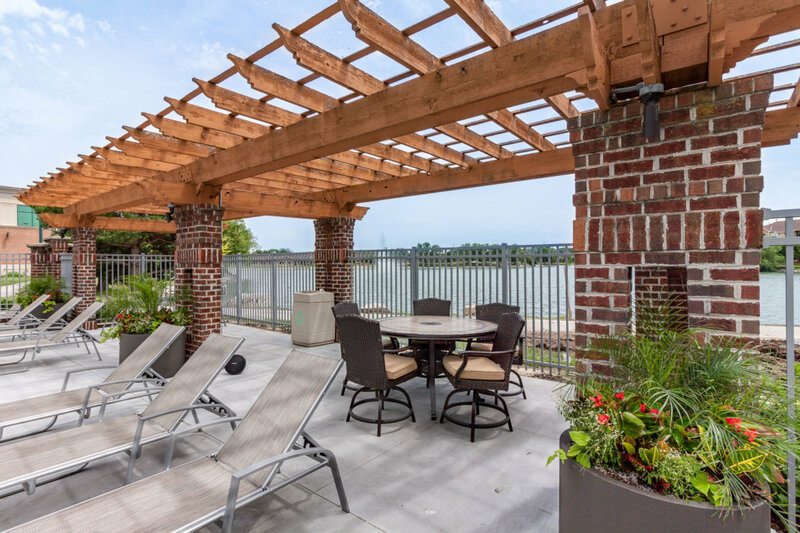 This 16.2-acre property surrounds an urban lake with walking trail. 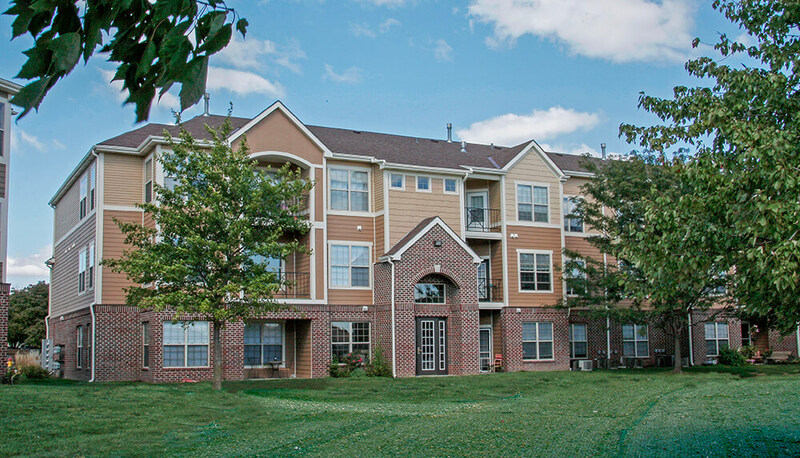 The multi-family complex is comprised of (13) buildings. 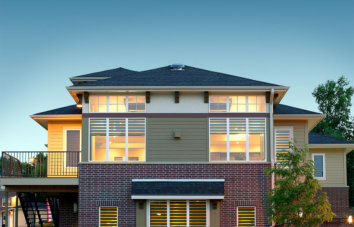 The structure consists of wood frame with brick and Hardie plank lap siding on the exterior. 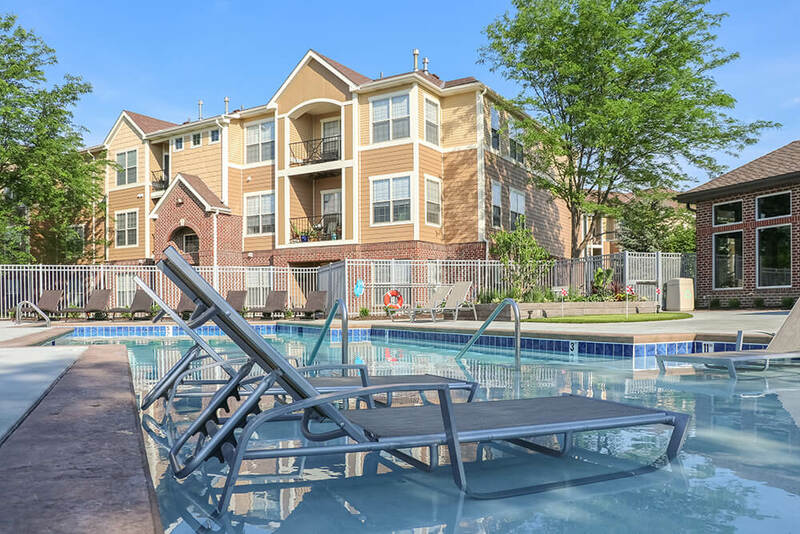 There are 268 units with several that have direct access parking. 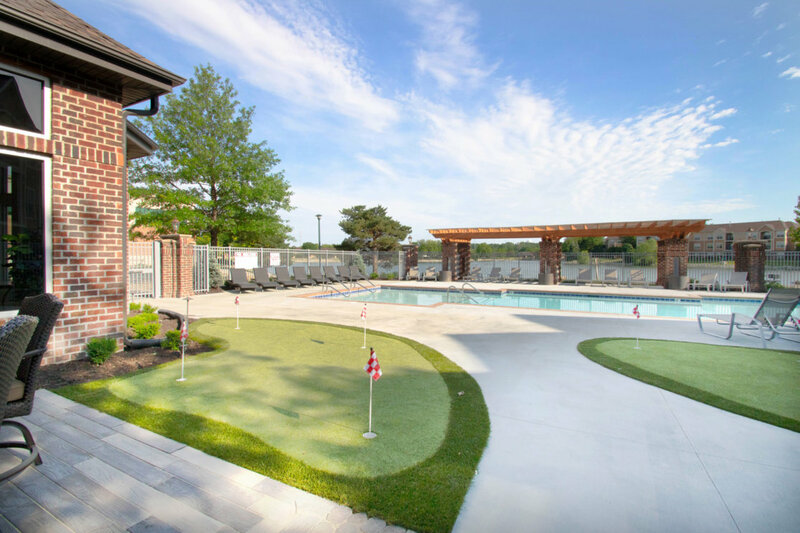 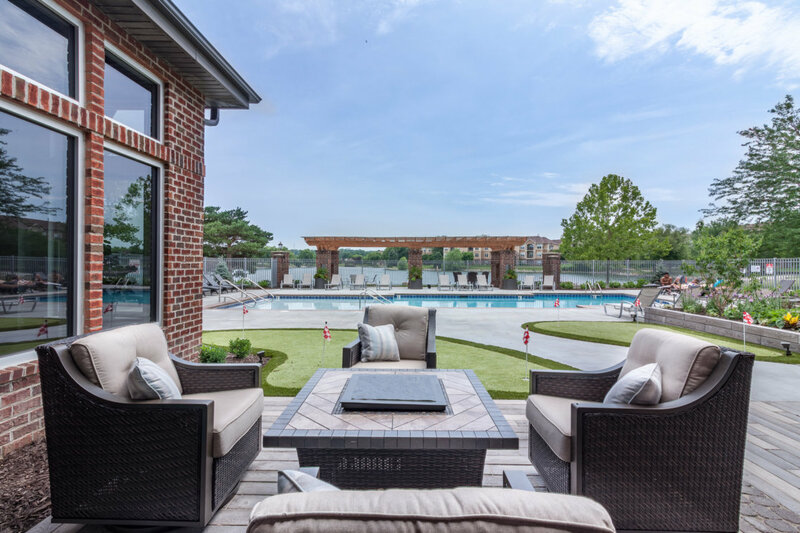 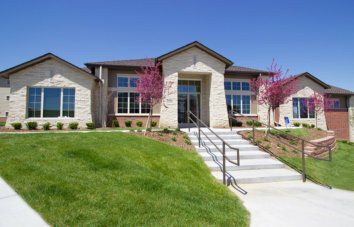 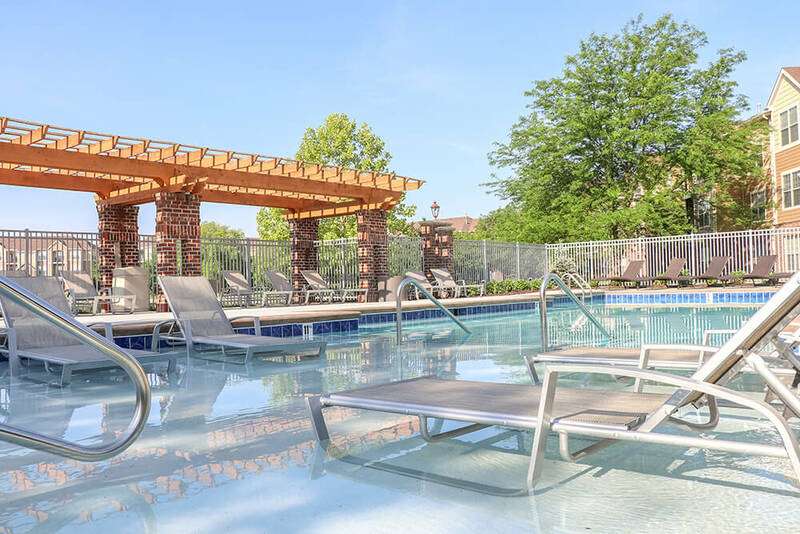 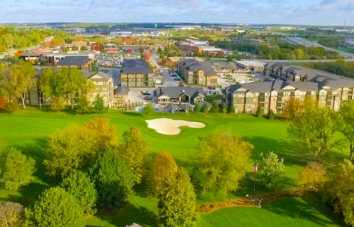 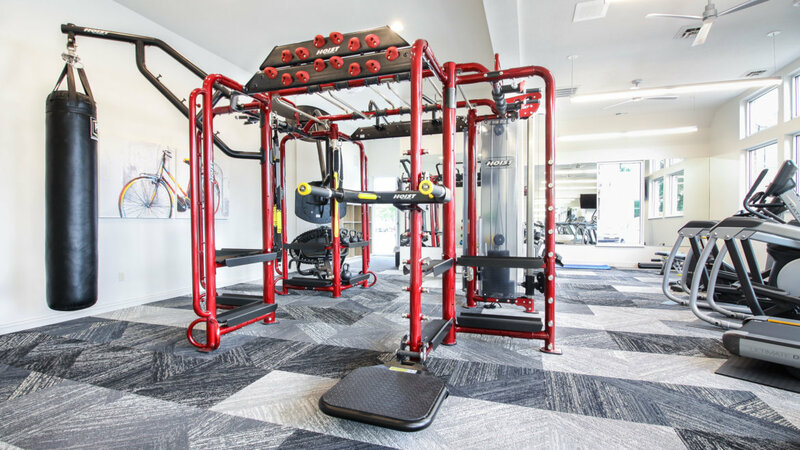 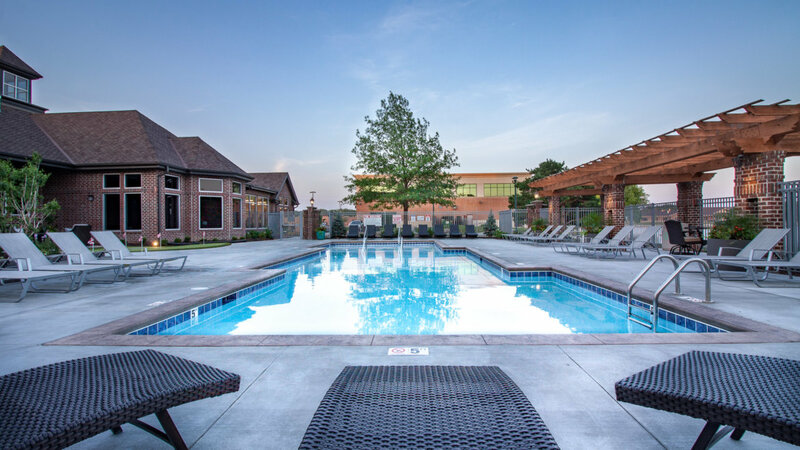 The various amenities include 3,250 sf clubhouse with a swimming pool, fitness center, and executive business center. 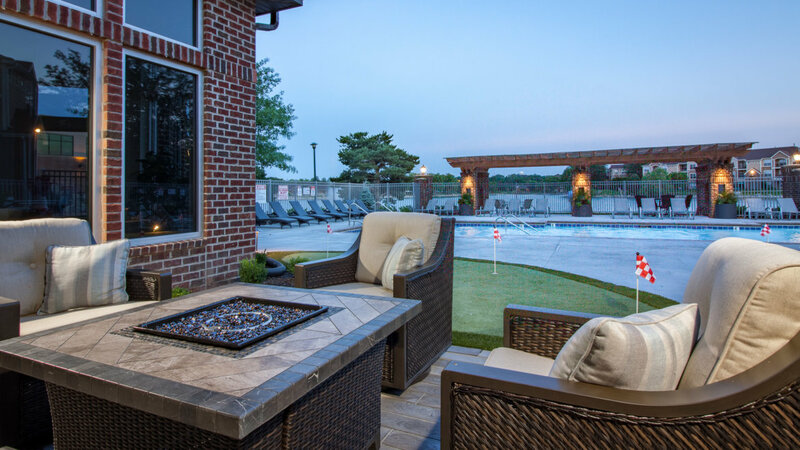 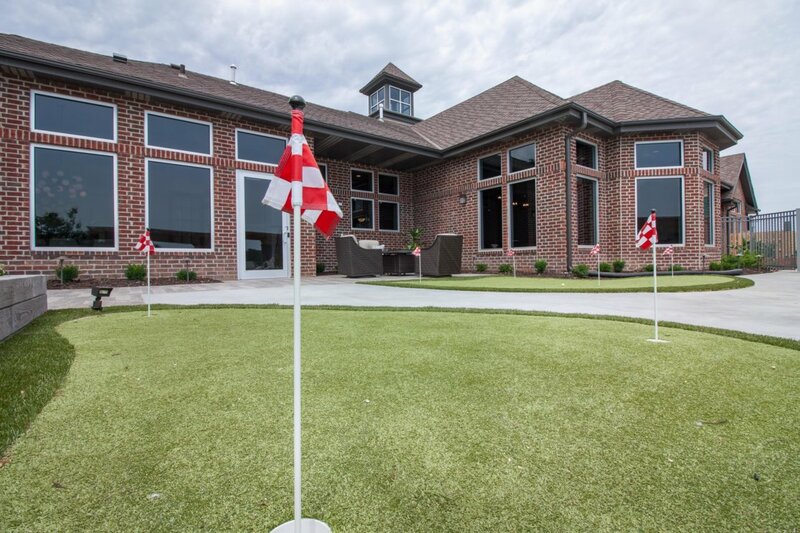 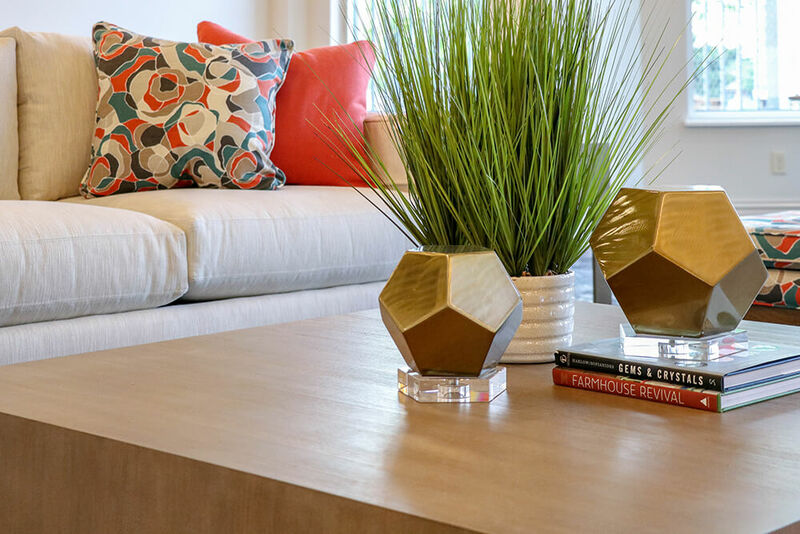 Luxury living, in the heart of Omaha.